I hear on the Cornish jungle vine that Mevagissey and Portmellon had severe rainfall yesterday as did we last night and as I write, I can hear the rain lashing against the windows outside. It made me remember the stories of the waves at Portmellon coming up over the road and hitting the cottage we stay in on the harbour front. Large waves have been known to hit the harbour wall and crash over the row of cottages along the front with water coming down the chimney and putting the fires in the lounges out! 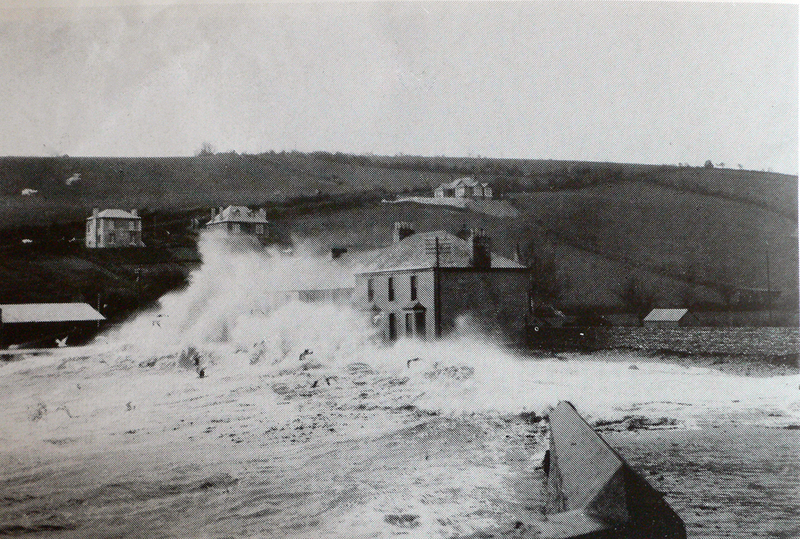 Here is a photo taken in 1931 of a Storm at Portmellon showing the tremendous waves. Thankfully the cottages are still standing and can still be enjoyed by holiday makers 80 years on. Special thanks to the photographer who took the picture, we don’t know how lucky we are in the digital age! 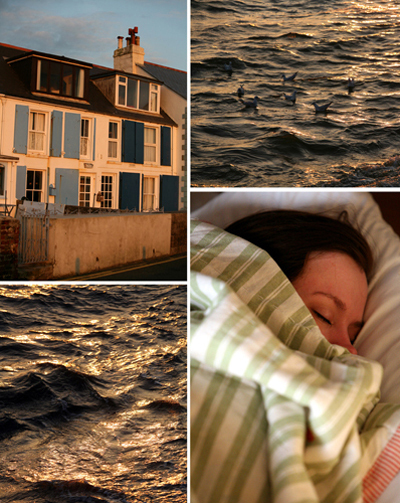 Here are a few pictures of a memorable morning waking up to the sound of the waves lapping the shore and the cry of gulls as the sun appears over the horizon. When we stayed at Portmellon for Becky’s 30th we were lucky to have the top bedroom in the roof overlooking the sea. 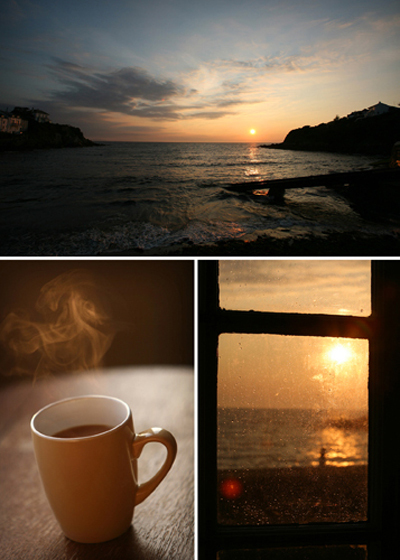 With large windows and an old armchair, I sat there with a cuppa watching the world come alive and the warm sunlight reflecting off the waves. The sea gulls coming to, ready to get their breakfast! I couldn’t resist grabbing my camera and taking some pictures as the light was just amazing…..
…..and then I went and got my breakfast!